Greg Braxton, a journalist who has covered Bill Cosby's career for more than 40 years, ponders the complicated heartbreak of a hero's fall from grace. The sight of Bill Cosby being led away in handcuffs following his sentencing for sexual assault on Tuesday shook me to the core. For a few moments I stopped breathing. Although this ending to the long and sad legal saga was inevitable, it was still overwhelming to actually see it play out on national television. Please don't get me wrong. This emotional response is not in any way dismissive of the horrific acts that Cosby is convicted of, or the pain and anguish his numerous victims have suffered for decades. That he has still not uttered one word of apology nor expressed any kind of remorse makes his crimes even more monstrous. The initial gut reaction is more about reconciling the fall from grace of a once-universally beloved entertainer now labelled as a "sexually violent predator" with my personal recollections of covering and bonding with one of the most beloved pop cultural figures of my generation - a towering figure of black culture who was a success at everything he did. For me as a black journalist, Bill Cosby transcended his status as a top entertainer. He was an African American legend whom I had worshipped since childhood, a larger-than-life figure whom I got to know on a first-name basis and who became one of the touchstones of my career. Of course, that first-name basis stuff only went one way. To him, I was just "Greg." To me, he was always "Dr Cosby." We talked on numerous occasions over the years - on the sets of his various shows, at press conferences, at his homes. I have interviewed hundreds of celebrities, but conversing on the phone or in person with Cosby, even if it was just for a few minutes, never ceased to be a thrill. We first connected on the phone when I was a reporter at the now-defunct Los Angeles Herald Examiner during the late 1970s. The circumstances of the story evade me now, but I can still recall my excitement when his publicist gave me Cosby's number to call for an interview. The phone rang once before I heard the familiar voice on the other end declaring "IN PERSON!" "Is this Bill Cosby?" I stammered, and he repeated in the same joyful tone, "IN PERSON!" I could barely believe it. I was actually talking to the entertainer I adored, the comic whose uproarious routines about his childhood and Fat Albert I would re-create on the playground of my elementary school to the delight of classmates and teachers, the actor who had excited me as a kid as I watched him on I Spy and his other shows, who had starred with best friend Sidney Poitier on those seminal '70s comedies Uptown Saturday Night and Let's Do It Again that we watched over and over again. 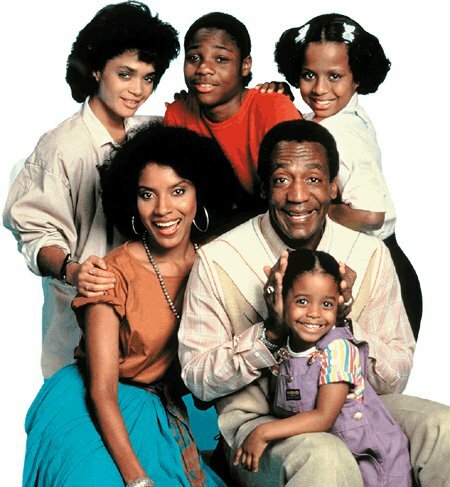 There would be a few more interviews during this era of the ground-breaking phenomena of NBC's The Cosby Show, which revolutionised television and turned around the fortunes of a network. But we talked more during the post-Cosby Show years about some of his other projects, including the short-lived The Cosby Mysteries. He could be surprising and spontaneous. One afternoon I was at work when his publicist called me and said, "Mr Cosby would like to see you at his house. Right now." I was in the middle of a story but dropped it immediately and rushed to Cosby's Brentwood house. He greeted me warmly and we went out on his large backyard patio where he and a colleague smoked cigars and discussed potential projects. That's not to say it was always easy. Interviewing Cosby could at times be a challenge because he would not speak in sound bites. Tangents would go on for several minutes, and I had to learn to be patient if I wanted my questions answered. In 1996, I was invited to New York for a set visit to his new CBS show Cosby, a sitcom that marked a reunion with his Cosby Show wife Phylicia Rashad. I went excitedly, anticipating hanging out with Cosby, hoping even to have dinner with him and his wife, Camille. My first day on the set, he came over, said "Hi" and added, "I just want you to watch." I spent a few days on the set, and although it was nice to watch Cosby and cast work, I was also disappointed that he did not seem to have much time for me. We barely got in an interview on my last day. There were also those occasions when I was truly puzzled by Cosby. He could be a great talk show guest, and his upbeat personality and charisma was at the centre of his triumphs as a star, pitchman and host of the retooled game show You Bet Your Life in the early '90s. But he could also display a darker edge. I could never shake how cold he was to Wanda Sykes at the 2003 Primetime Emmys when she was roaming around the audience and tried to banter with him. Sitting on the aisle with sunglasses on, a stone-faced Cosby all but dismissed her, refusing to play along. His relationship with black America also became more troubled around this time. He rebuked black youth, complaining they disrespected the sacrifices and legacy of civil rights activists. He blasted their clothing and their language. When some prominent leaders expressed concern with his comments, he declined to back down. While he was praised by many in the black community, others took issue with his tone and what they felt was his elitism and lack of compassion for the lives of a younger generation. The last time I saw Cosby in person was in 2014 when he was promoting a special for Netflix. I went to his house to interview him. I remember the house - a different one - being dark and feeling empty, and he was not in a great mood. He was impatient with The Times photographer who was trying to get him to pose, and it took him about an hour of talking about other things before he settled down enough to discuss the special. When I left, I held out my hand to thank him, but he didn't shake it. Maybe it was too dark for him to see, I reasoned. In retrospect, it may have been because of his failing eyesight. On the way home, I remember calling a publicist who had worked with Cosby to complain about how difficult he was. A few weeks later, the controversy about his past and allegations of sexual assault began to come to the surface. The special never aired. His concert dates were cancelled. The downfall had begun. I will always have fond memories of my time with Cosby, and what he meant to me. But those recollections will also now be forever shadowed by his fall from grace and the realisation that I only saw the public persona. 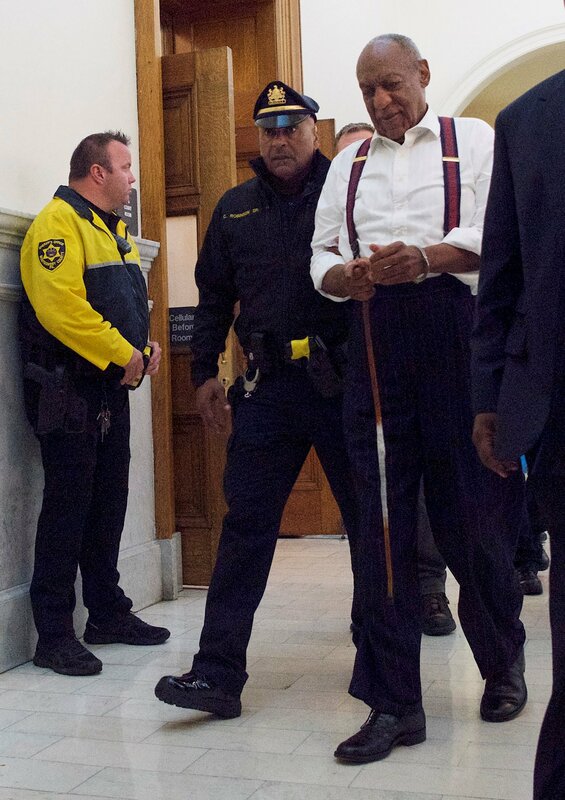 But the sight of him in handcuffs now must be the defining image of his legacy. I wonder if he will ever be aware of the heartache he has caused, for those he victimised and for those who once held him in the highest regard. Greg Braxton is a writer for the Los Angeles Times.